I REALLY want to read this. The only other piece of literature I've read that deals with passing that comes immediately to mind is Boy, Snow, Bird and it didn't explore issues of passing enough for me. Other themes muddied that part up to the point that I was really frustrated. Definitely giving this classic a go! I will be excited to see what you think of Passing! This is a book that would work well for my book club. We read an unusual book called Passing Strange by Martha A. Sandweiss, about a white man who passed for black to be with the woman he loved and the children they shared -- a life entirely secret from his career. That sounds interesting. I will have to look it up. Great review of this book! It's a book I wish more people knew about and read. It was a book I had heard so much about. I can't believe it took me so long to read it! 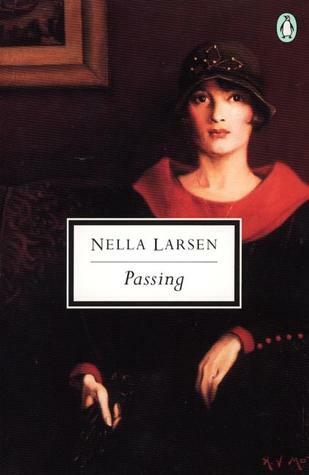 "Passing" sounds like a fascinating glimpse into 1920s America. I had never heard of it before. It's a really short read too, unlike some of the more intimidating classics!